A visit to Drumsna Community Resource Centre is a real eye opener. Not knowing what to expect when you arrive, after a couple of minutes you are cradling a mug of tea in the most relaxed atmosphere as a hive of activity is taking place around you. It can best be described as a home away from home for its clients who attend the centre five days a week while it also plays a vital service for its many other clients who it provides with a meals on wheels service each weekday. Manager, Lorraine Mulvey took time out to explain what they do there. Shay McWeeney on guitar entertaining clients in the Day Care Centre. 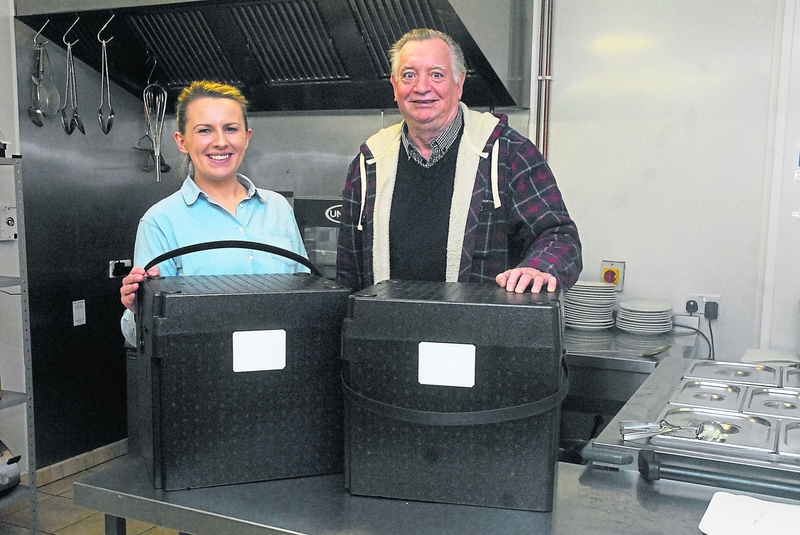 The Meals on Wheels service began from the centre two years ago and serves hot meals to 20 clients five days a week. Deliveries are made to the wider Carrick-on-Shannon, Leitrim Village, Annaduff, Mohill and Eslin areas. Three people work in the community funded kitchen while there are eight volunteer drivers who bring the meals to the clients. All dietary requirements are catered for including diabetics and coeliacs. The youngest Meals on Wheels client is 45 and the oldest is 82, all supported by the public health nurses and their families. It is a vital lifeline for people living independently and there is also the added social and security aspect it gives to the clients each day. The average cost of meals on wheels is just €6 for a hot and nutritious home-cooked meal. One volunteer driver, Alfie Higgins said he and the other volunteers love what they are doing. “It's something I look forward to every morning,” he said. Lorraine Mulvey, Manager of the Centre, pictured with Alfie Higgins, Meals on Wheels volunteer. There is a humanitarian side to the volunteerism with several jobs often added to the daily visit such as getting a bucket of turf, posting a letter or getting a few groceries. It's all part of the service. There are 25 service users in the centre itself each weekday where they have their meals and take part in various classes such as woodwork, art, music and exercise. Games of cards and bingo are also very popular. They also celebrate Mass in the Centre every second Thursday with Parish Priest, Fr. John Wall. The centre has been operating this valuable service since 2012 and the benefits to the clients are clear to be seen as they sit and chat in happy and comfortable surroundings. The price for the day care service is just €4 for meals while transport costs €3. Clients in the Day Care range in age from 47 to 97 and come from the Carrick-on-Shannon, Kilmore, Drumshanbo, Ballinamore, Leitrim Village, Carrigallen and Mohill areas. They are bused to the centre each day by various local operators. Some of the clients in the Day Care have mental health needs and they are fully supported by the mental health team in Carrick-on-Shannon. The centre operates an open door policy and clients are free to go and buy groceries, have a pint, go for a walk, or visit the church to light a candle if they so wish. There is also a chiropodist working from the centre privately who attends to the clients as well. 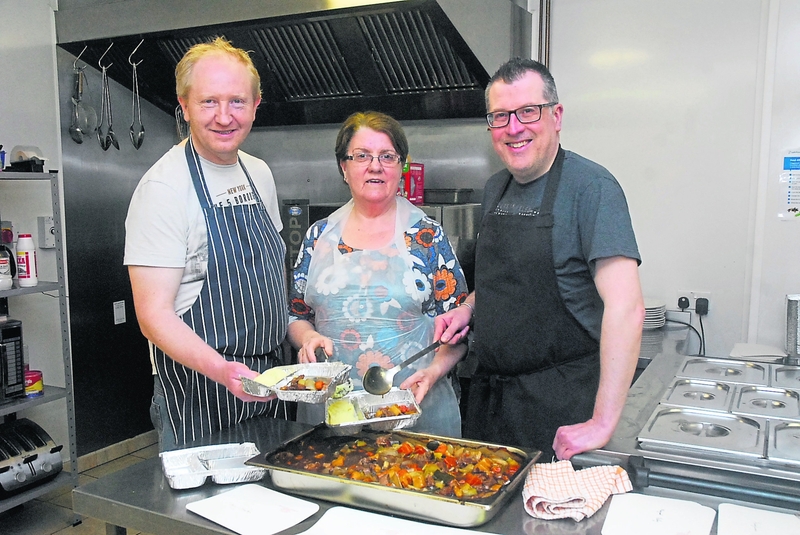 The food is all sourced locally from butcher Ciaran Reynolds, Gannon's Eggs & Poultry, Rosderra Meats and baker, John McHugh to which they are very grateful. They also shop locally in Daly's and Duignan's to help support the local economy. Staff Patrick Waters, Myra Bohan and Will Green preparing the Meals on Wheels dinners for delivery. Leitrim Development Company support them through the RSS scheme (three workers) and the TUS scheme provides two workers on site. They are also very much supported by Paul Hamilton from the Mayo, Sligo, Leitrim ETB. Drumsna Community Centre itself remains busy in the evenings hosting the local ICA, bingo every Thursday, the local Golden Age group, art classes with Noreen Gaffney, Foroige, and Annaduff GAA, while upstairs houses Aideen Toolan, reflexologist, Tusla and Lifestart. 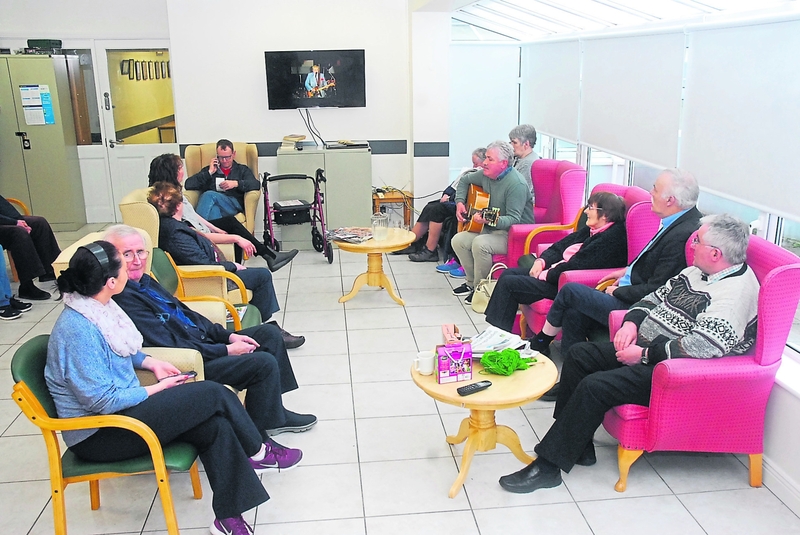 Other groups who use the centre include Drumsna Tidy Towns, Padraig Sweeney music classes, Elaine Furniss pilates classes, and Dylan Keane of DK Fitness.